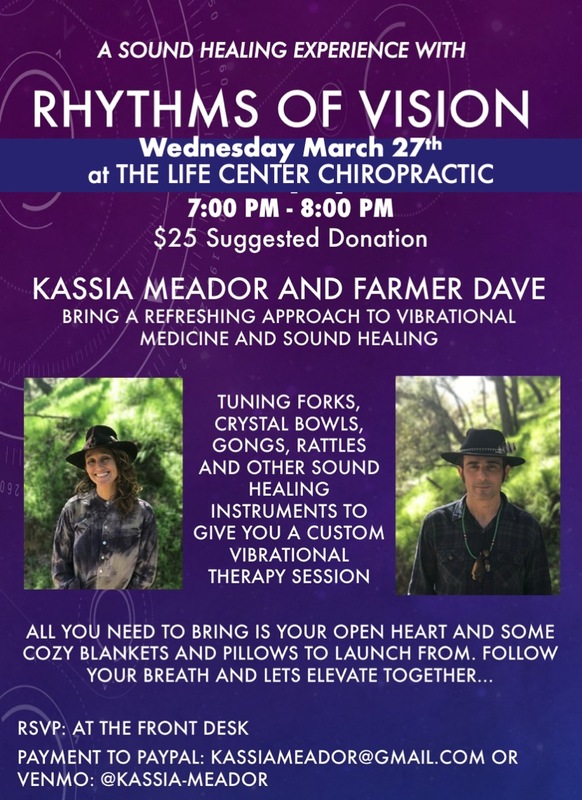 In the true spirit of California, Kassia Meador and Farmer Dave bring a new and refreshing approach to vibrational medicine and sound healing, surfing the wave of sonic evolution bridging ancient wisdom with modern techniques. Come drop back into yourself with us. 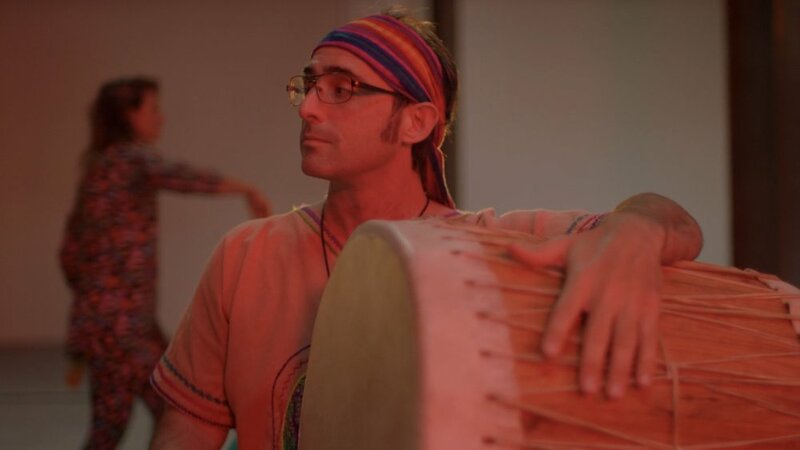 All you need to bring is your open heart… just follow your breath and the Rhythms Of Vision will do the rest…. 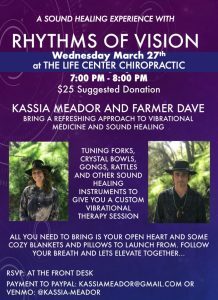 Join us at The Life Center Chiropractic where we will work with crystal bowls, gongs, rattles and other sound healing instruments to give you a high vibrational aligning session. All you need to bring is your open heart and some cozy blankets and pillows to launch from. follow your breath and lets elevate together! Space will be limited to patients of The Life Center Chiropractic and then to the public.